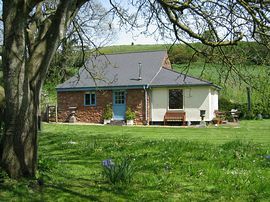 Set in an almost secret valley on the edge of Exmoor but only 8 miles from Taunton the Hoccombe valley is the place to unwind. 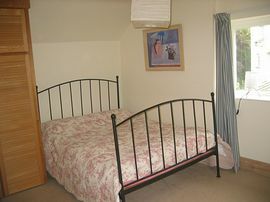 The cottage itself has the feel of country living whilst retaining the comfort of a modern home. The modern paintings on the walls and the careful design of each room have been put together with an eye for style and comfort. The sitting room has french windows leading out to a terrace and the garden. The Mill house adjacent is the home of the owners who are on site if needed. We have many clients who return each year - so they must like it! We love living here and try to make it a special week for all our guests with guest soaps, bathrobes and some of life's little treats. Peace and quiet in a rural valley - a place to unwind. Modern easy living deep in the country. 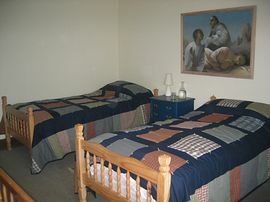 All bedlinen, towels, bathrobes for adults and kitchen linen. Terrace from french windows in sittingroom leading onto good sized lawned garden and car parking. 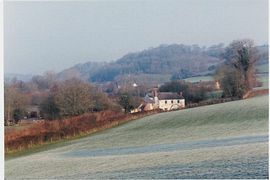 Local Services: Within twenty minutes of this peaceful valley lies the bustling county town of Taunton. Shopping is extensive from supermarkets to farmers markets from fashion to gadgets! It has a sports complex, swimming pool,three golf courses, multiplex cinema, and bowling but also a historic castle and museum, library & tourist information office - it is the ideal antidote to the solitude of Hoccombe. Will be sent onto interested parties. Easter and Mid Season: £380.00. 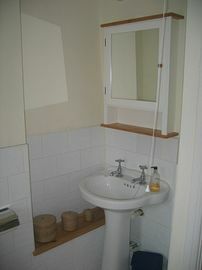 Includes all Heating, hot water and electricity. Saturday - Saturday throughout the year. No short breaks or weekends except by special arrangement.